The old adage 'you never get a second chance to make a first impression' still rings true. And for an investor with a property to let, it is most certainly true. Firstly, make sure any clutter is cleared away. Don't leave out garden tools, hoses or indeed anything that makes the front of the property look messy/might constitute a trip hazard. If the property has a front garden, make sure this is landscaped to a professional standard. With a front garden, it's best to keep the design simple so that it is easy to maintain. Alternatively, if you have paving stones or gravel at the front of the property, make sure any weeds or lose stones are dealt with so that the property looks inviting and uncluttered. Have the gutters seen better days? Is the fence broken? Is the roof missing a tile or two? Are the window frames in a state of disrepair? Whatever needs fixing, get it fixed. The smallest improvement can make the biggest difference to how prospective tenants view your property when they first clamp eyes on it. What does the driveway say? Take a moment to look at the driveway from the vantage point of the road. How does it look to you? Does anything need repairing or replacing? A pot-holed driveway is unsightly to say the least, so make sure the driveway looks neat, tidy and well-maintained. Does the brickwork require repointing? Do you want to cover up ugly brickwork by rendering over it? Cheap bricks or pebbledash can let a property down. However, you can cover over it, remove it, or alter the finish to create a completely new, more polished look. The front door might only need repainting, or it might need to be replaced altogether. If it does need replacing, don't always go for the budget option. The door should look and feel secure and solid. Also make sure the style of the door complements the style of architecture of the property – you want the front door to enhance the building, not diminish its appeal. Clean windows are a must. Not only will they enhance the exterior of the property but will allow more natural light into the inside - and all prospective viewers will be looking for bright and airy rooms. Rotten window frames must be replaced, but they must be replaced with windows which are in-keeping with the design of the house. 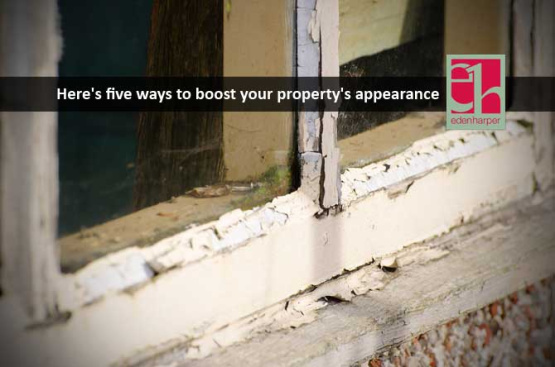 By taking the time to fix what needs fixing and paying close attention to the exterior of the property as well as the interior, not only will you entice more prospective tenants, but you'll add value to the property too, boosting its saleability. If you're looking to let out your property near Battersea Park or in Brixton, request a valuation today.